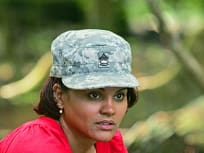 Sandra Diaz-Twine shocks the Survivor world again by defeating Russell and Parvati in the final three to take the crown as the champion of Survivor: Heroes vs. Villains. Our recap runs through all the highlights. Despite the surprise of Danielle being voted out, the Villains try to rebound and refocus their efforts on the remaining Heroes. Read our recap for a full rundown of this week's events. 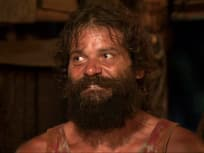 Two castaways are voted off this week, but Rupert and Colby both survive. Our recap looks at all the events which led to two unexpected removals. Sandra and Candice find themselves as the swing votes on whether to vote out Amanda or Parvati. Our full recap highlights all of the moves made this week. An eleventh castaway is voted out of Survivor: Heroes vs. Villains. Check back for a full recap after the show airs. JT tries to make a bold play to set up his tribe. Does his move work? Our full recap has all of the highlights. The Heroes appear unified while the Villains seem fractured this week on Survivor. "I'm Not A Good Villain"
The Villains try to rebound from a strange tribal council. Check out what else happened in our full recap. Both tribes go to tribal council this week and two castaways are voted out. Read our recap for a full run down. "Knights of the Round Table"
James of the Heroes tribe is injured at the reward challenge. Can the Heroes prevail without him? Read on to find out. Coach got emotional on this episode of Survivor. Keep reading for a full recap of events from it. This is third installment of the 20th edition of Survivor. We've ran it down in detail. "Getting the Best of Me"
Rob collapses while walking around the campsite. We've got a detailed recap of events from this episode. We welcome back 20 castaways this week. It's the Heroes vs. Villains premiere. Permalink: I'll take a hug. He's (Russell) is not playing with amateurs anymore. He's playing with the big boys. 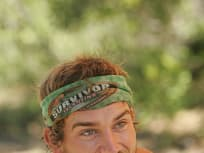 Survivor Round Table: "Loose Lips Sink Ships"